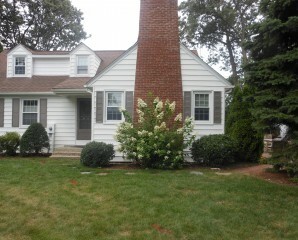 Since 1989 Haramut Landscaping has been taking care of residential and commercial properties in Western Massachusetts. Part of this has been trimming and pruning of trees and shrubs. Every plant is different and requires pruning at different times to insure proper growth and blooming. We can take care of any project, big or small. Whether it’s an Arborvitae hedge, Dogwood tree, or an old Rhododendron, call us for a professional job that will allow your plants to bloom and grow for years to come.